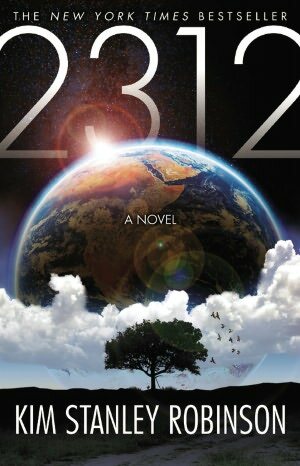 Interest: One of the blogs I read described this book as a science fiction story set in a post-climate change world. Considering how much I think and talk about climate change in my classes, I was interested to see how Robinson viewed things, so I picked up the book. Summary: The backdrop to the story is the fact that humans have gotten off Earth and are in the process of terraforming all the rocky planets, moons, and asteroids they can manage. We focus on three main characters: Swan, from Mercury, Wahram, from Titan, and Genette, a small from Mars. They are brought together by the death of Alex, Swan’s grandmother, who was at the center of an off-line group trying to explain some unusual behavior among qubes (quantum computers). They tie the qubes to sabotage on Mercury and Genus, and discover a group of qubes trying to pass as humans. In the process, Swan gets drawn into trying to fix some of the perennial problems on Earth by rewilding Earth (adding back many of the extinct animals that have only existed in space). Swan and Wahram are continually thrown together, and complement each other so well they decide to marry by the end. Final thoughts: An intriguing book that is set up in a unique manner. The narrative is interspersed with extra materials like lists of connected words, and excerpts from materials tangential to the story. It’s not the easiest story to read, and it feels almost like the main plot line is really just there to give us Swan and Wahram coming together and going apart. That being said, I enjoyed Swan’s character and her frustration with the loss of her grandmother and driving force in her life. You see her slowly realize that what she’s missing is friendship and love, which Wahram supplies. There is quite a bit of gender-bending in the book, so don’t read it if you are offended by anything other than the heteronormative. I also enjoyed the technical aspects of living in all the different places outside of Earth, including all the different ecosystems that were created within the asteroids, which act like little ferries from planet to planet. It is heavy on the science, which I do like to see from time to time. Title comes from: 2312 is the year the story is set, which becomes a turning point for Earth because of the rewilding efforts of Swan and Wahram, and the discovery of humanoid qubes.